Light shelfwear to edges and covers. Pages tight and clean. 695 pages. MMP Binding. Year: 1992. ISBN: 0553295233. 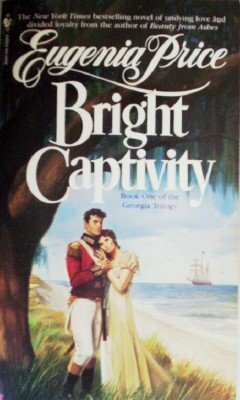 Book one of the Georgia Trilogy. They met in the final days of the War of 1812. Anne Couper, daughter of a prominent planter, led a sheltered life on Georgia's St. Simons Island, dreaming a young woman's dreams of love with a romantic stranger. Then one day her handsome stranger arrived...John Fraser, a charming British lieutenant who captured her heart while holding her prisoner at the lavish estate of Dungeness. Within a year of their first, unforgettable meeting, they would marry-and face the hardships of seperation and the wonders of reunion.